Marmalade and jam: commonly these two words are interchangeable, but Italian law defines very precisely these two preparations. In 1982, Italian D.P.R. n.401 introduced the distinction between marmalade and jam in the Italian regulation, implementing the European directive issued in 1979 which obliged to specify the difference between the two preparations, giving a detailed definition of all ingredients and preparation used. This was the first Italian rule regulating features and production of jams and marmalades, this law has been replaced and repealed with the following ministerial and legislative decrees: nowadays the newest law is the one contained in the Legislative Decree no. 50 of 20th February 2004. This decree defines what marmalade or jam is and explains the difference among extra jam, jelly and sweetened chestnut puree. Which is the difference between marmalade and jam? And what is a compote? Marmalade is a mixture brought to a suitable gelled consistency by cooking water, sugar and citrus. Commonly speaking we use the inappropriate word strawberry marmalade or peach marmalade: only lemon, orange, tangerine, citron, grapefruit or bergamot can be used to prepare a real marmalade. Beyond stating that marmalade can be prepared only with citrus fruit, the law defines the fruit percentage required in the preparation, namely 20%. The usable parts of citrus fruit in marmalade preparation are normally pulp, puree – this is to say the mashed and sifted pulp -, juice, citrus aqueous extracts and peels. Over time wrong definitions of marmalade spread, at least until a law finally gave an exhaustive definition. 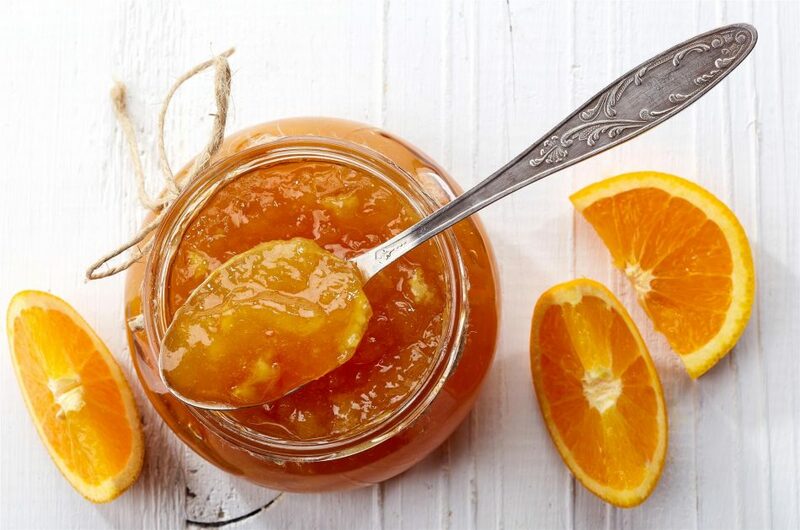 Marmalade has often been described as a product without any piece of fruit inside, differently from jam. in other cases, this difference was exactly the opposite: marmalade was made with pieces of fruits, jam had none instead. These were those definition given by the folks that the law aimed to clarify. Let’s continue with the definition of the second preparation: what is jam as required by law? Jam is a mixture brought to a suitable gelled consistency by cooking water, sugar and fruit, this being at least 35% of the preparation. The law states also that fruit must be fresh, sound and not spoiled, it has to be cleaned and it is necessary to remove all blemish before using it for the preparation. The definition of jam can include also other preparations which – respecting the percentage here above – use roots or vegetables instead of fruits. We are talking for example of those jams prepared with ginger or rhubarb, or with pumpkins, carrots, melons and watermelons. Jam and extra jam are 2 further specifications introduced into the Italian legislation with the update made in 2004 regulating the distinction among marmalades, jams and jellies. Extra jam differs from the simple jam because of the percentage of pulp contained in the preparation, which must be at least 45% of the total of the composition. For most fruits extra jam consists only in the non-concentrated fruit pulp, fruits of the forest are the only exception: those jams made of raspberries, blackberries, blueberries and gooseberries can be made also with fruits puree. In addition to jam and marmalade we also have preserves. In this case, habits – not the law – set the distinction: preserves are generally made with fruits or vegetables, flavours, sugar and other ingredients freely chosen. 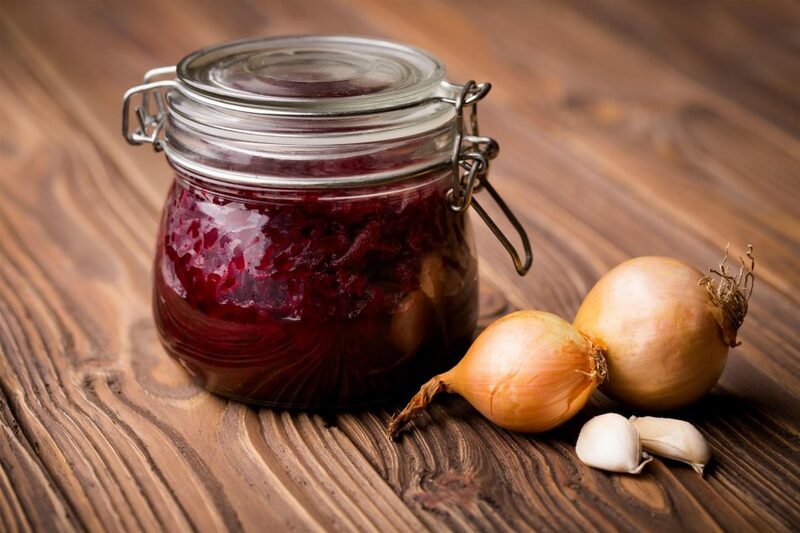 At first sight, a fruit preserve may seem like jam or marmalade: since preserves have a free composition it may contain additives, colouring agents and other ingredients not allowed by the law for jams. In addition to fruit, sugar and water it is possible to add other ingredients, furthermore the percentage of each ingredient is not defined by the law: a lot of homemade preparations, made with recipes which are the result of someone’s creativity and experience, can be defined as preserves. Not only fruit: as mentioned before, preserves can be prepared also with vegetables. In modern times we can find among the most famous preserves the one with onions or peppers, used as tasty accompaniment to sweet and sour vegetables, to be served with meat or cheeses. It’s always funny to prepare homemade marmalades and jams, tasty and genuine, just like the granny’s ones. Every family transmits its own recipe to prepare marmalades, jams and preserves: each recipe has its special ingredient, which made the preparation unique and personal, even a very simple quince jam. Of course, we do not always have enough time to prepare our homemade marmalade and jam, but you only need to carefully choose high quality products, which can bring you back to the memories of those homemade preserves made with love by your grandmother. To taste an excellent marmalade made with organic ingredients, you can try the Lazzaris’ orange marmalade. And what about fruit jam? Try all the traditional flavours such as organic fruit forest extra jam, organic peach extra jam, organic plums extra jam.